A lot of poker reviews just list the games and tell you what colour the software is. I prefer to try and find what makes each poker site unique – the essence of a site which makes it different from all the others. With 888 Poker you’ll feel that the site is tailored to the needs of recreational / amateur type players – and does not encourage pros or semi-pro ‘grinders’. The types of promotions, setup and selection of the games and even the loyalty reward system are all designed to boost the bankrolls of ordinary players, instead of simply rewarding the geeks that spend 6+ hours a day multi-tabling. 888 Poker have had a lot of success with this model, and are now the 2nd biggest poker site overall (behind the pro-infested PokerStars). There are some other differentiating factors too. 888 has unique and very smart software, which comes in download, app and browser versions. This site is also a partner of the World Series of Poker, and you will find a lot of opportunities to qualify for that event in smaller buy-in online tournaments. This review focuses on the main 888 Poker site, which is available around the world. There are sites in Nevada and New Jersey too. Let’s Talk Money – How Do 888 Poker Reward Their Players? To start with, you can take up to $88 in free play before you deposit (no credit card info needed, though one per household only). This allows you to try out the real money games, via cash game buy-ins and tournament tokens. The offer does vary from country-to-country. For many players, this start will be all you need to build up a bankroll. If not, then you can still take the 100% to €400 welcome matched bonus whenever you wish. 888 recently revamped their VIP program, making gold coins the central concept. There are a lot of levels to this, which you’ll reach as you keep playing. Within each level you get challenges and goals which earn you more coins. These can then be swapped for bonuses, tournament entries or spent in a special shop which has everything from chip sets to MacBooks! Each day that you log on you will get to spin a wheel which gives you either more gold coins, tournament entries or free bets at the huge bookmaker or casino sections of the site. Topping off the rewards are the regular one-off promotions. These can be give away offers for gadgets, tournament events, live event qualifiers (not just the World Series) or just entertaining promos based on different game formats. While higher buy-in players will get bigger rewards, these are spread a lot more evenly compared to other sites. These promotions are changing all the time. Check out the latest list for yourself now at www.888poker.com! 888 do things differently when it comes to game selection. Most poker sites start off with the formats of cash games, tournaments, sit n goes and fast-fold poker and then drill down into the game types after that. At 888 you will find ‘All Games’ to get you to the game types, with your favourites, beginner tables and snap poker also at the top level. Under that you’ll find tournaments, sit n goes and the Holdem, Omaha and Stud variations. I prefer this setup, though if you are used to the Holdem / Omaha and so on being on the top level it can take a little getting used to. There are plenty more lobby options to narrow your search, for example the speed (turbo, hyper turbo) and things like ‘Satellite Qualifiers’ and ‘private’ for tournaments. You’ll find tournaments and sit n goes are colour coded too. Again, the first time this just looks like a multi-coloured list, but once you ‘tune in’ it does make things very easy. Tables are smart, with a blue background as default and very smooth action. You can chat with other players and even throw things at them including a trophy, egg or snowball. You can switch off the animations if they get to annoying. There are some nice touches to the tournament tables, including an ‘in the money’ animation and then another one for when you hit the final table. You’ll find plenty of Holdem and Omaha, 1 or 2 Stud games (at the lower limits only) and tournaments kicking off every few minutes. For lower buy-in / recreational types that are the main types of players at 888, there are always more than enough games to choose from. 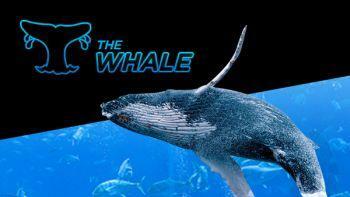 If you are a high roller then look out for ‘the Whale’ tournaments, or the regular tournament events which usually feature several big money guarantees. New: Blast Poker! 888 has come up with a timed lottery sit n go format called Blast Poker. You can win up to 10,000 times your buy-in in these 4-handed games. A big advantage of choosing a big brand poker site to play on is that you know your deposit will be safe. 888 is fully licensed and regulated (including a UK license) and the parent company 888 Holdings is also listed on the Stock Exchange in London. This means that all legitimate payment options are available, including credit / debit cards, PayPal, Skrill, pre-paid cards like UKash and even bank wires. There are also many country specific payment options, for example Webmoney for Russia. There is no doubt in my mind that 888 Poker will continue to grow in 2019. While many other poker sites ‘suffocate’ under the huge numbers of multi-tabling grinders, 888 have a fresh approach with regular people who enjoy an occasional game of poker as the main player group. While the $88 free play bonus is a nice start, there are plenty of promotions and chances to qualify for live events around the world – as well as the new loyalty scheme to keep your bankroll topped up. If you enjoy poker, and want to avoid the multi-tabling geeks, then 888 is my top recommendation. 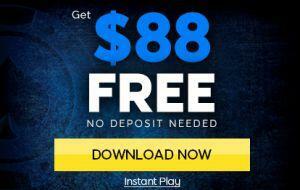 Check out the latest promotions and offers now at www.888poker.com!